Hoop House and Fruit Tree Planting Workday September 27th! Join The Minnesota Project on Saturday, September 27th as we erect a hoop house at our Micro-Farm located at the Emergency Foodshelf Network in New Hope, MN. Volunteers are needed to assist with preparing the rows, constructing a 25′ X 50′ hoop house and with planting. 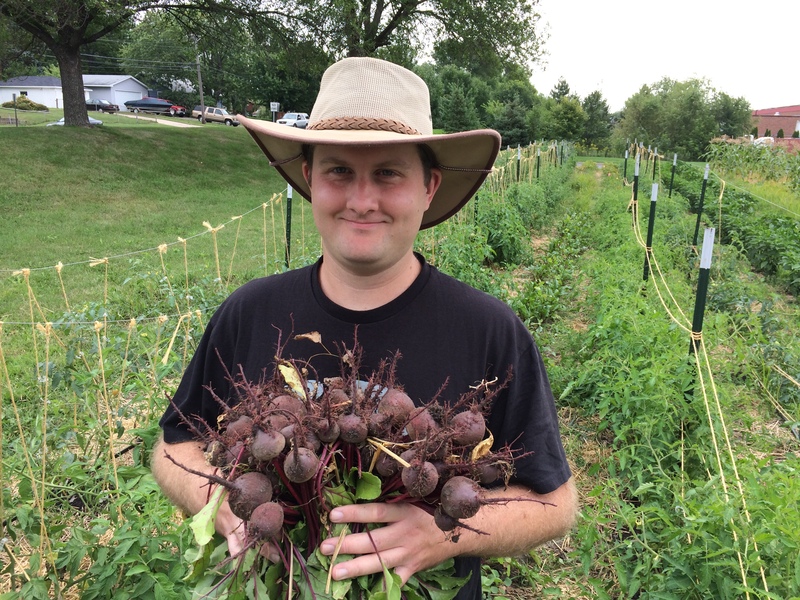 Eric Larsen with Stones Throw Urban Farms will guide us as we work together to construct a hoop house season extension system for our Micro-Farm at Emergency Foodshelf Network. 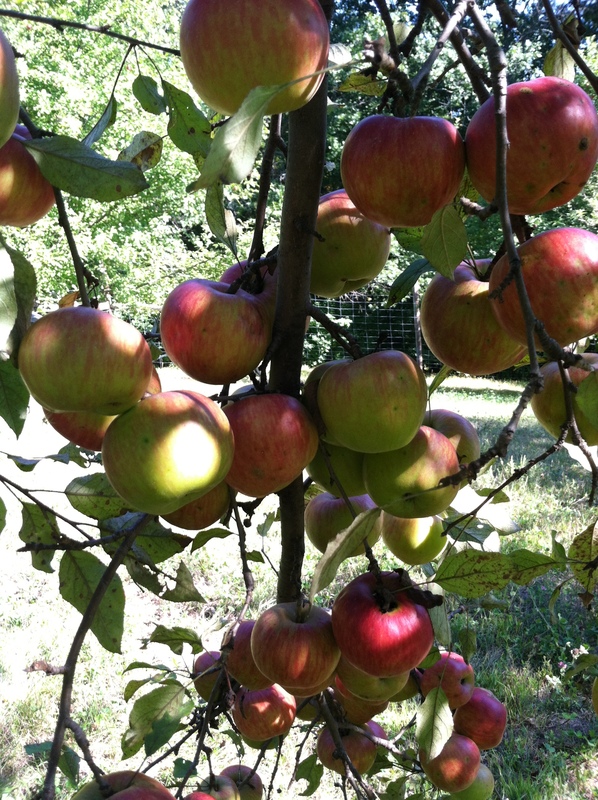 Help us plant 20+ apple trees and grow fruit for local food shelves! In this workshop we’ll learn basic fruit tree care and planting techniques and apply what we learn as we plant fruit trees at the Micro-Farm that will be used to help those in need for years to come. Volunteers are need to help dig, plant, and stake fruit trees. The workshop includes a brief indoor lecture followed by a guided hands-on opportunity to plant fruit trees. About the presenter: Rebecca Koetter is a consultant working with various edible trees and shrubs throughout the Metro area. She has experience designing, selecting, implementing, harvesting and processing from nearly every fruit from a woody plant growing in MN. Rebecca has an undergraduate from Dept. of Forest Resources, Master’s degree from College of Food, Agricultural and Natural Resources Science and worked with the Dept. of Forest Resources, University of Minnesota for five years. It’s Harvest Season for Fruits of the City! 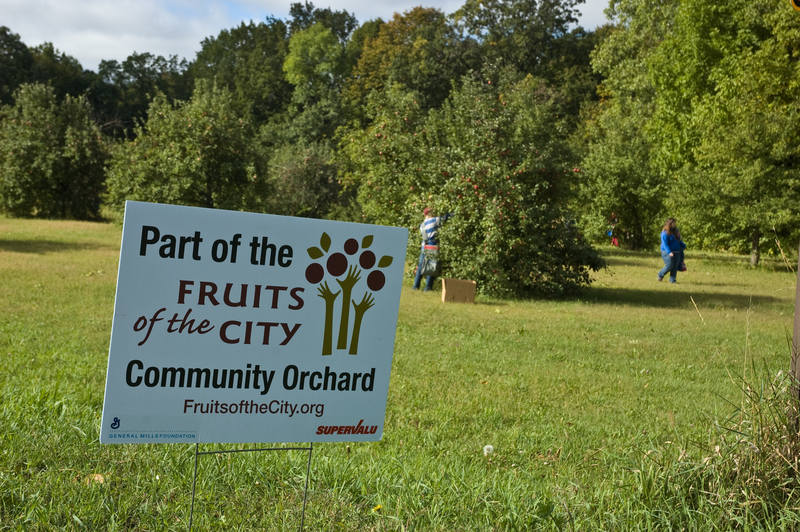 Harvest season for Minnesota apples and pears is here and The Minnesota Project’s Fruits of the City program needs your help gleaning fruit for local food shelves. Volunteer gleaners are needed to assist with harvesting fruit trees in backyards throughout the Twin Cities metro area and at nearby orchards. Be sure to visit Fruits of the City’s VolunteerHub page to see all of our posted volunteer opportunities. Events will be updated regularly and you’re sure to find a tree near you. Throughout September and October there will be plenty of opportunities to harvest for those in need. Visit www.fruitsofthecity.volunteerhub.com for more information. The Minnesota Project is a nonprofit organization championing the sustainable production and equitable distribution of energy and food in communities across Minnesota. To best address the multiple factors that define sustainability, the organization focuses on three areas – the development and efficient use of clean renewable energy, promotion of sustainable agriculture practices and production, and consumption of local, sustainably grown food. Founded more than 30 years ago, today the organization works toward establishing a sustainable Minnesota by 2039 through education and outreach, as well as developing key ground-up, grassroots initiatives targeted at empowering communities and their leaders. www.mnproject.org.